Full, beautifully curled lashes. Style resembles a longer, more dramatic version of #101 demi. Subtle looking short style that resembles your natural lashes. Ardell Fashion #108 lashes is a natural looking style with short lashes that blends in with your own natural lashes. Comparable to Bullseye DEBBIE lashes. Subtle looking short style that resembles your natural lashes. Subtle looking, dense short style with added volume. Also try style #126. Comparable to Bullseye ZOOEY Lashes. Subtle looking, dense, short style with added volume. Also try style #126. Comparable to Bullseye ZOOEY Lashes. Most popular natural style for everyone wear! This natural style lashes are graduated (shorter on the inside corner) with just the right length and volume to enhance your eyes, perfect for daily use. Comparable to Bullseye TAYLOR Lashes. Most popular natural style! Perfect for daily use. Ardell Natural #110 lashes are perfectly curved with just the right amount of length and volume. Extra long, flirty false eyelashes made of 100% sterilized human hair. These lashes provide great length and volume. Available in black only. Style comparable to Andrea Modlash #23, Elise #552 and Bullseye LADY Lashes. Extra long, flirty false eyelashes made of 100% sterilized human hair. These lashes provide great length and volume. Available in black only. Style comparable to Andrea Modlash #23, Elise #552, and Bullseye LADY Lashes. 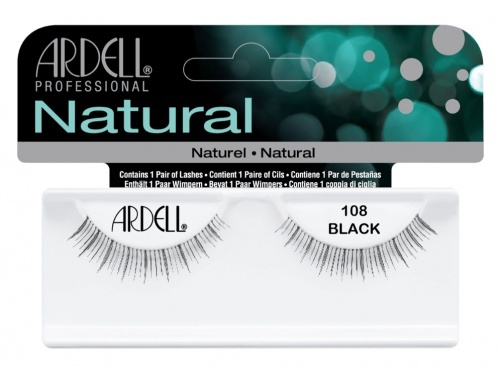 Ardell Fashion lashes #112 are a must have! These lower, bottom accents lashes have alternates strips of long and short lashes create glamour effect on your lower lash line. Comparable to Bullseye GAGA lashes. 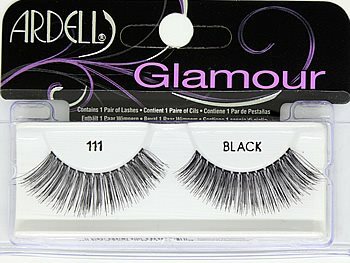 Also known as Ardell Glamour Lashes #113 are full and beautifully curled false lashes with curled wispy flair to accentuate that feminine sultry eye look. This style resembles a longer, denser, curled version of #122 lashes.